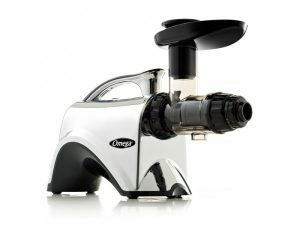 OMEGA VERT – Omega VRT330 – White – Low speed Masticating Juicer. 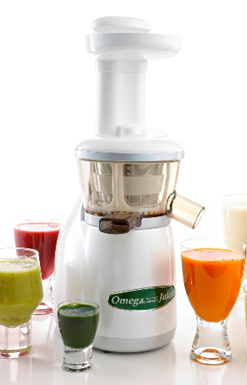 The Omega VERT Juicers are a completely different juicer, where fresh juice comes from squeezing rather than grinding. Pay less in Canada Sale! (less than ordering direct from www.OmegaJuicers.com) While supplies last…. If you see this juicer for sale anywhere in Canada for less and they have it in stock – we will match or beat that price. Lowest price Guarantee On this Juicer! In Stock – Polar Bear Health is an official retailer of Omega Juicers. 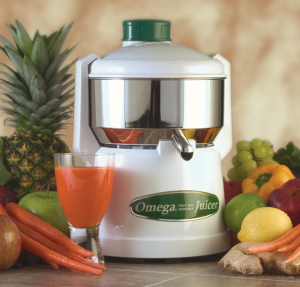 We have been selling Omega Juicers in Canada for over 45 years. Dual-stage, Vertical, Low Speed, Masticating, Single Auger, Press, Juicer! The Ultimate Juicer Producing Higher Quality Juice by Maximizing the Amount of Enzymes Juiced from Leafy Greens, Wheat Grass, Fruits, and Veggies. One Juicer for all your needs – Attractive in any kitchen, either home or business. Freshly juiced vegetables give your body an instant boost of nutrients, enzymes, vitamins and minerals in a form that the body can easily assimilate, absorb and digest! Why the Omega Vert VRT330 Juicer… Low Speed Technology System (LSTS) – World’s first patented juicer utilizing the LSTS method. It is a complete departure from the standard masticating method. The LSTS method allows the Slow Juicer to extract the maximum amount of nutrients, vitamins, taste and juice from a minimum amount of fruits, vegetables, leafy greens, even soybeans! 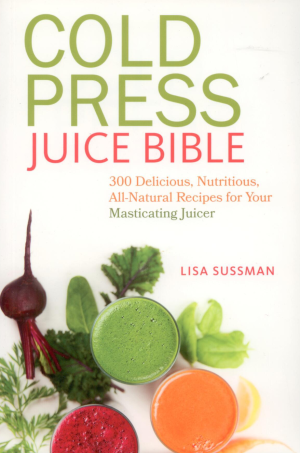 Healthy Enzymes are destroyed by most juicers which process at speeds of 1650 to 16,00 RPMs. You must drink all of your juice in 20 to 30 minutes before it degrades. The Omega Vert Low Speed Juicer Processes at 70 RPMs which prevents oxidation allowing the juice to be stored up to 72 hours. Dual Stage Juicing – juice is extracted through the first crushing stage and before the pulp is ejected, it is then squeezed during the second pressing stage; resulting in more juice, and extremely dry pulp. Automatic Wiping System (AWS) – World’s first juicer with AWS. This juicer utilizes a silicone wiping blade, much like the wiping blade on your car that ensures the juicing screen stays clear of excess pulp so you will enjoy a higher yield and easier to clean screen. Higher yields – Based on our testing, this juicer yields more juice than a comparable centrifugal ejection juicer. Economical – Get the greatest amount of juice from the least amount of produce. Higher Quality Juice – Enjoy more antioxidants, better flavour and superior freshness of your juice. No frothing or foaming, and none of the separation that occurs with other juicers. Self Cleaning – Simply pour water through to self clean the juicer when changing to another fruit, vegetable or leafy green. Save time! Small Footprint – all of the performance of a masticating dual-stage single auger juicer A unique design that allows items as firm as carrots and as fine as wheatgrass to be juiced efficiently in the same machine. 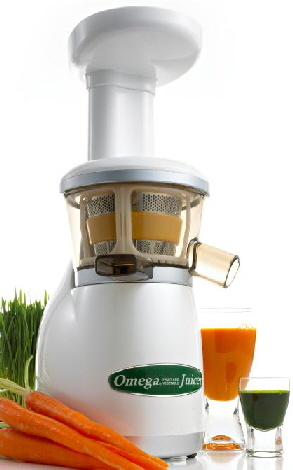 The Omega Vert Juicer is a completely different juicer, where fresh juice comes from squeezing rather than grinding. The Omega Vert Juicer is a newly developed product, which is capable of making soy milk, vegetable extracting, fresh squeezed fruit juice, wheatgrass and leafy greens. Low speed juicing squeezes instead of grinding, allows the juice to maintain it’s pure color, natural taste, nutrients and vitamins. Healthy – The Omega VRT330 juicer allows you to extract the maximum quality and nutrients from any kind of fruit or vegetable. Economical – Get maximum amount of juice with a minimum amount of produce. Peels and skins can be used in cookie, jam, cake, etc. Easy to Clean – Simply rinse with water while changing fruit and take it apart after using and rinse with water. It couldn’t be any easier! Durability – The 10 Year Warranty on the entire juicer is your assurance that the Omega VRT330 juicer is built to last. Single Gear “Masticating” Extraction No heat build up. Easy to assemble, operate and clean. High juice yield ­ very dry pulp. Dual-Phase Induction Auger 70RPM Rotation Speed. Very Quiet Commercial Condenser Brushless motor. Auger is made of GE’s ULTEM material. Heavy Duty Construction with high quality materials. Single gear produce less foam than double gear juicers. Two juicing screens for firm soft produce. Engineered for quiet operation & long life. Built-in “reverse” to prevent clogging Gear runs at 2 HP with gear reduction. 10 Year Warranty Will provide you with pulp free energy, full of active enzymes to help you maximize your day. Eat well, drink well and live well with Omega! This product is available for pickup in our store.Shipping can be arranged. Normally we ship via Post. No credit card surcharge, hidden duty, or exchange rates. We ship most orders with 1-2 business days.